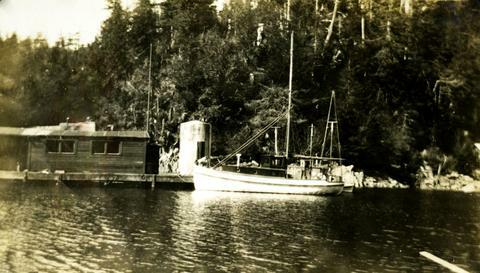 Photograph depicts a boat. Handwritten annotation below the photograph reads, "B.S. Bay". Boat is the "Coaster" owned by H. Weldar.